We know Microsoft’s latest target; a company that has been misusing Microsoft’s trademarks. The software maker has declared war on this firm and is now looking to get damages for this tech support scam. A number of tech support scams in the US have been taken on by the Federal Trade Commission in the past few years for the purpose of tackling fraudulent support from different companies including Microsoft. These scams claim to provide assistance to customers in removing system errors, spyware and viruses on their machines. However, eventually, they are just bogus fixes and customers end up paying for them. While the consumer protection laws have been used by the FTC for preventing companies to indulge in deceptive marketing. The Digital Crimes Unit (DCU) of Microsoft has made a strike against these tech support scams. It states that issues such as deceptive and unfair business practices, loss of goodwill and trademark infringement are just some of the problems. Last Friday, the company filed a complaint in federal court against a company based in California in Central District of California. A few other defendants are also outlined in the complaint, which are connected to the company. They include businesses and individuals having operations in Florida and India. The company was accused of violating several laws in California by using the name of Microsoft in relation to provision of ‘phony technical support’. 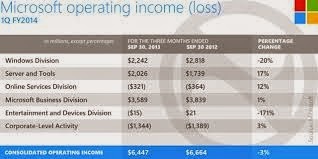 Microsoft claims that this misuse has caused the company to lose consumer goodwill that’s associated with its brand. The company wants to get a permanent injunction and damages from the phony company because of infringement of its IP. As per the complaint of the company, the defendants have taken advantage of the Microsoft service marks and trademarks for confusing customers and enhancing their credentials in order to show that they are affiliated with it. The company further asserted that the defendant used this improved credibility for convincing and fooling customers that their personal computers have been attacked by viruses and malware. Then, in the name of cleaning and fixing their computers, the phony company provides them with unnecessary security services and technical support. As a matter of fact, Microsoft also mentioned in its complaint that security issues were actually created by the defendants in some cases in the computers of the customers for the primary purpose of gaining access and stealing confidential and sensitive information. Microsoft said that it had conducted a thorough investigation and had discovered that malware and password-reading programs had been installed in computers. Illegal business practices had been conducted by the defendants for supporting their claims and multiple test calls were run by Microsoft’s investigators with representatives of the phony companies. These test calls enabled the representatives to gain access to the investigators’ computers. Before contacting these companies, Microsoft had asked its own experts to verify that the computers were free of any malware or problem. However, the investigators were informed that their computers were full of viruses. The company said that about 65,000 consumers had complained about these scams in the past six months.